Today I’m talking to Adi Keinan-Schoonbaert from MicroPasts, a platform that allows archaeology professionals and enthusiasts to collaborate. They’re making heavy use of 3D photogrammetry and crowdsourcing to preserve and share artefacts. What is the MicroPasts project? Funded by the UK Arts & Humanities Research Council, MicroPasts is a web-based environment, built wholly upon open-licensed and publicly available software, which allows the public to engage in different ways with real academic and museum-related research. It has been created and maintained jointly by researchers and curators from UCL Institute of Archaeology and the British Museum, co-led by Andrew Bevan (IoA) and Daniel Pett (BM). I am also part of the core team alongside Chiara Bonacchi (UCL), Neil Wilkin (BM), Jennifer Wexler (BM) and Rachael Sparks (UCL). MicroPasts offers different ways for people to engage and contribute. People can complete different types of research tasks on the crowdsourcing platform, and help with the kinds of large-scale data collection that are very difficult to achieve using traditional research methods. They can also make small crowdfunding donations to support new collaborative projects between community groups and academic institutions in return for rewards of their choice. And finally, as well as supporting other people’s research projects, online participants can use MicroPasts’ community forum in order to discuss their own research ideas or form collaborative proposals for crowdfunding. Our main goal is to keep advancing research and promote heritage documentation projects while at the same time supporting public enthusiasm for museum collections and archaeology. What kind of different tasks do you offer? MicroPasts’ crowdsourcing platform offers a variety of tasks, from photo-tagging people and objects identified in historical photos from the Middle East to tabulating rice agriculture statistics and census data from early 20th century Asia. However, our hallmarks are the transcription of the British Museum’s National Bronze Implements Index and the 3D modelling of these and other archaeological artefacts. Focusing mainly (but not only) on British bronze age metal finds (c 2500–800BC), one of our major types of tasks combines transcription and geolocation. The British Museum has around 30,000 compiled and illustrated index cards which record metalwork discovered in the 19th and 20th centuries. The cards include information such as the objects’ type (spearhead, axe, sword etc), findspot, measurements, condition and sometimes details of the discovery context, with – often beautiful – drawings. MicroPasts users are asked to transcribe this information and, where possible, georeference discovery locations by dragging and dropping a marker on an OpenLayers dynamic map. When combined with the Portable Antiquities Scheme database, this digitised catalogue will become one of the world’s most comprehensive georeferenced datasets of archaeological metal finds. The second application is aimed at the construction of 3D models, where crowdsourcing can help with an important step in the process – the masking of digital photographs. We use the structure from motion (SfM) technique, where 3D shapes are estimated via calculations based on the perceived motion of a camera around its subject. Software assesses areas of overlap between digital images of a desired object or landscape feature taken from different angles. Importantly, and unlike other 3D methods such as laser scanning, users do not need to be specialists to apply such SfM methods. They require only a set of digital photos taken with a consumer camera in ordinary lighting conditions, while following simple guidelines relating to camera use and required number of overlapping shots. Before being processed into a 3D model via software such as the open source VisualSfM or the commercial software PhotoScan, it is often very useful (especially for archaeological artefact models) for photos to be “masked”. The crowdsourcing task of photo-masking presents MicroPasts contributors with photos of objects, and asks them to draw polygons, carefully defining their outlines. Marking where an object ends and the background begins substantially reduces the amount of model cleanup after all masked photos are loaded to the 3D software. The resulting models have an immense value not only for re-use in multimedia applications, but for research as well. For example, 3D technology can help explore issues of similarity and difference between objects of the same type such as bronze age axes, which in turn produce finer-scale dating, for example, or more sophisticated distinctions about artefact manufacturers. Can you tell us about one of the most successful/impressive results so far? While we have been involving hundreds of volunteers with our photo-masking applications, we are now also crowdsourcing the actual creation of 3D models. With the help of our online tutorials and technical support on the forum, several MicroPasts contributors learned the process of 3D modelling using PhotoScan and regularly help us with these tasks. Thanks to the joint effort of our core team members and volunteers, we now have 53 models of bronze age palstaves and other axes, spearheads, halberds, loop bracelets and gold nested bracelets from the UK, Palaeolithic handaxes from Tanzania and an Egyptian figurine. Following the creation of these useful models, the British Museum has begun exploring the use of 3D prints for presentation, public handling and education. We are hopeful that our success on the 3D front would encourage museums and universities with archaeological collections to consider this type of artefact documentation as a way to make artefacts more accessible to the public, as well as open up new research endeavours by examining 3D morphometrics. Which Sketchfab tools are important to you and how do you use them? 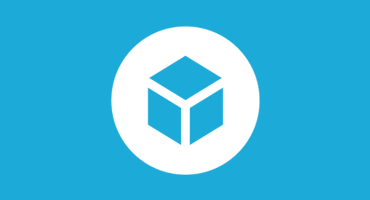 Sketchfab is an enjoyable platform to use and is most suitable to host our 3D models. We like the general design and functionality of the website. For example, it is important for us to be able to show some information on each model, and like the fact that people can search Sketchfab models using keywords. The social media sharing options are also handy and we use those regularly. We also find it straightforward to add or change model properties, and use the re-upload option frequently when we want to replace existing models with improved ones. The option to embed models on other websites is also very useful for us, and very recently the Portable Antiquity Scheme has started to embed 3D models hosted on Sketchfab in their online database! Annotations are especially useful for archaeological objects by enabling the curators in our team to run a ‘object handling’ session without actually having to handle the objects in real life. Instead of showing artefacts’ 2D photos accompanied by text, the annotations enable a much more enhanced 3D experience of archaeological objects. We are hopeful that museums would adopt this feature for a more engaging presentation of their collections online. How can Sketchfab members become involved in MicroPasts? We’d love to get feedback on our photogrammetry tutorials and crowdsourced 3D models hosted on Sketchfab – and even to see them reused by Sketchfab members! We also have many discussions on the process of 3D modelling on our forum, and Sketchfab members are more than welcome to participate and contribute to those discussions. If any 3D-savvy modellers out there have suggestions for crowd-sourced 3D model creation via the crowd, please do get in touch. And naturally, everyone is also invited to directly take part in different tasks on the MicroPasts crowdsourcing site, as well as help out with creating 3D models. We’d love to hear from you! Visit the MicroPasts website for more information on the project. There’s also a lively Cultural Heritage group on our forum.